Bad news: Manual handling is responsible for an increasing share of workplace injuries. In Australia, new figures from Worksafe Victoria indicate that the proportion of ‘body stressing’ injuries rose to 37% in 2016, even as the total number of injuries continued its decades-long decline. Similar trends have been reported elsewhere. This suggests that employers are still underestimating the risks associated with manual handling, relative to other workplace hazards. 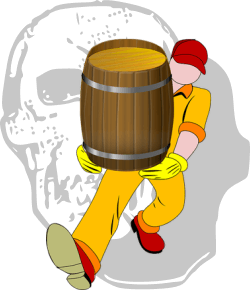 One reason could be the hidden nature of the injuries caused by manual handling: musculoskeletal disorders are typically gradual and accumulative, without visible external harm. What’s more, many employers still treat ‘back pain’ as little more than a convenient excuse – making staff reluctant to speak up. Whatever the cause, it seems a pattern has emerged where ‘obvious dangers’ – falls; crushing; electric shock – are vigorously addressed, while ‘quiet killers’ – manual handling; stress and mental health – are tucked away out of sight. The good news is, there are also signs of change. In the UK for instance, the HSE has updated their publication Guidance on the Manual Handling of Loads Regulations. The unwieldy document has been streamlined and colour-coded, making it easier for busy managers to review and integrate best-practice manual handling principles into the workplace. A number of helpful guides, charts and eTools have also been made available. In New Zealand, Worksafe just released an interactive online tool to encourage awareness of health and safety in everyday workplace situations – and it properly puts manual handling issues front and centre. Although there is no mention of the ubiquitous issue of emptying waste bins (or anything about the last frontier of H&S, mental health), it is, as Worksafe puts it, a start. We’ve started with the 13 businesses you’re most likely to see on a city block - from cafes and hair salons, to medical centres and petrol stations. We’ll be adding more businesses in future so that the tool is relevant to a wide range of New Zealand businesses. Similar initiatives can be found in the USA, Australia and elsewhere. Of course, an increased awareness of manual handling hazards is good news for us at Simpro. But it is good news for you too. Musculoskeletal disorders are one of the quiet killers of the modern workplace, and a new approach has long been overdue.